You would have to be in a very dark place to not enjoy a shopping trip. The secret is to not want anything then you can be open minded about everything. So when I am greeted by a helpful assistant asking what I am looking for, I can reply “something I can’t live without”. That is the whole essence of shopping. Beastie logic decrees that for me at least, if I like it and it fits I should buy it. That was the basis of all our shopping trips, and we had many of those. That philosophy may seem excessive to some, but remember I am very small and not normally proportioned. Very few things ever fitted me and it became quite depressing at times. I’m sure most of you were aware his purchases far exceeded mine in both quantity and cost. So, the picture speaks for itself. 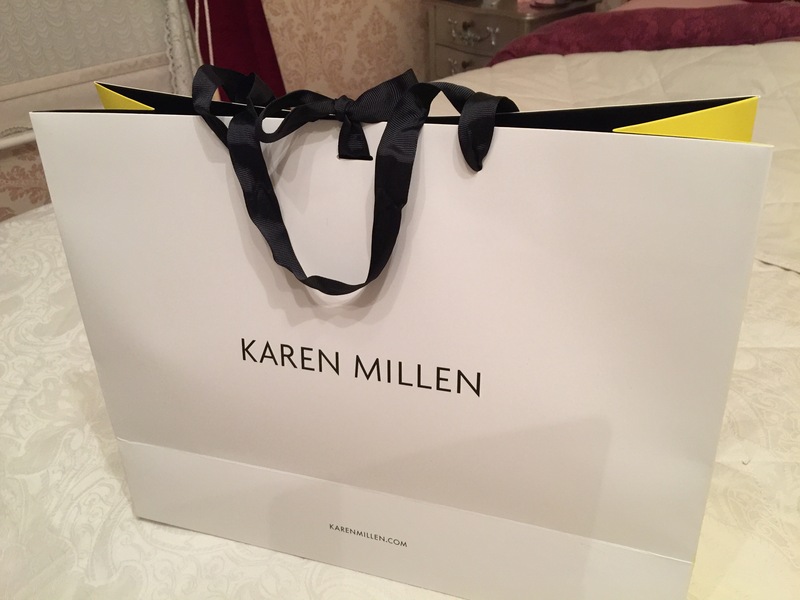 To those who know, Karen Millen is very neatly cut and more of her stuff fits me than most. I tried on three dresses. The first was good, a bit tight and clingy but acceptable. The second was good but too low at the front. The third was stunning. Very simple, very elegant fitted like a glove, I didn’t even need to consult the soldier. I knew what he would say. (Remember the soldier was to give advice, goes with me everywhere). Sorry guys, very girlie post. Very unlike me. This man I am married to is getting in my head now I’m starting to think like him. 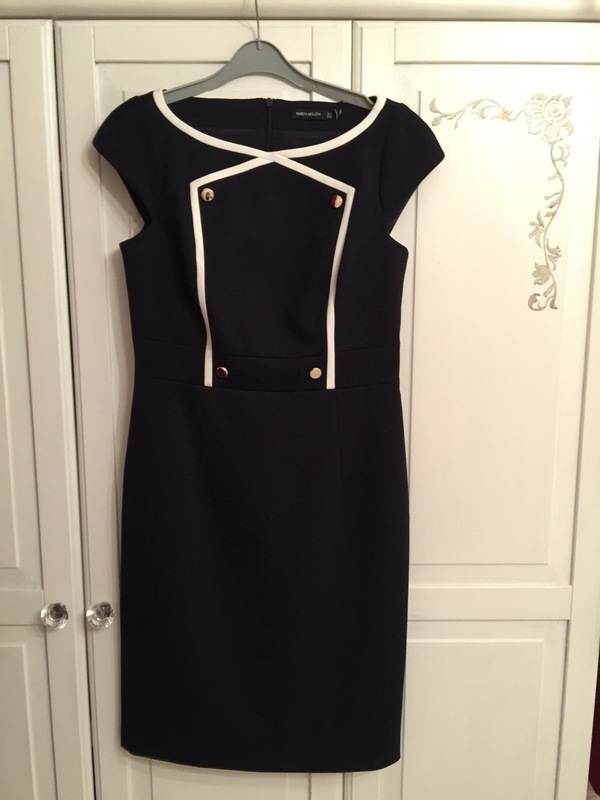 Excellent post…and I do love the dress.